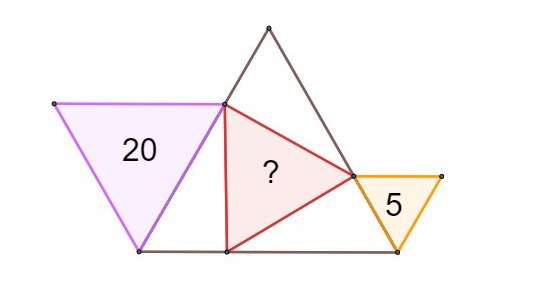 The first makes use of the fact the area of a triangle depends on the length of one side (the “base”) and the perpendicular distance of the opposite vertex to the line containing the base. 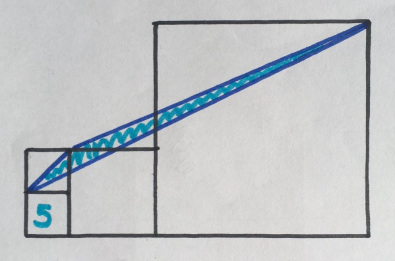 Since it’s the perpendicular distance, that means you can move the opposite vertex anywhere on a line parallel to the base and get a triangle of equal area. 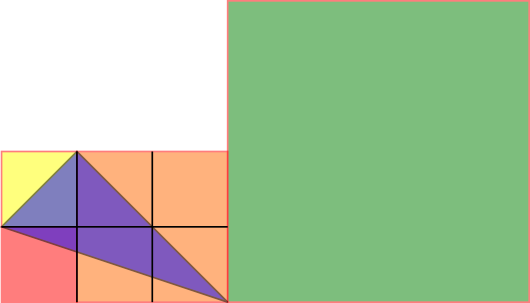 In this picture the diagonal (lower left to upper right) of the big square is parallel to the short side of the triangle, so the top right vertex of the triangle can be moved to anywhere on the square’s diagonal to get a triangle with the same area. In particular it can be moved to the lower left corner to get a triangle whose dimensions don’t depend on the size of the large square. And the blue triangle’s area is the area of the 6-square rectangle formed by the small squares, minus half the yellow square (1/2 square), minus half the orange square (2 squares), minus half the 3-square rectangle along the bottom (3/2 square): 6-1/2-2-3/2 = 2 squares, and since one square has area 5, the triangle has area 10. 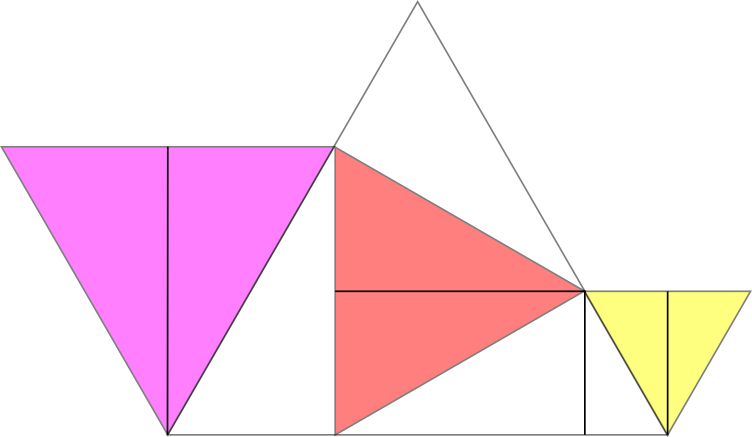 A white triangle is half the red triangle plus half the yellow triangle. So the red triangle is two half red triangles which is two half purple triangles minus two half yellow triangles, or red triangle area = 20-5 = 15.